Gathered here for your amusement and delight are three world flags which feature trees (cedar, pine, and palm). I have arranged them in chronological order, but this could also represent order of importance, since Lebanon is a nation, Norfolk Island a territory, and the British Indian Ocean Territory is essentially a military base. 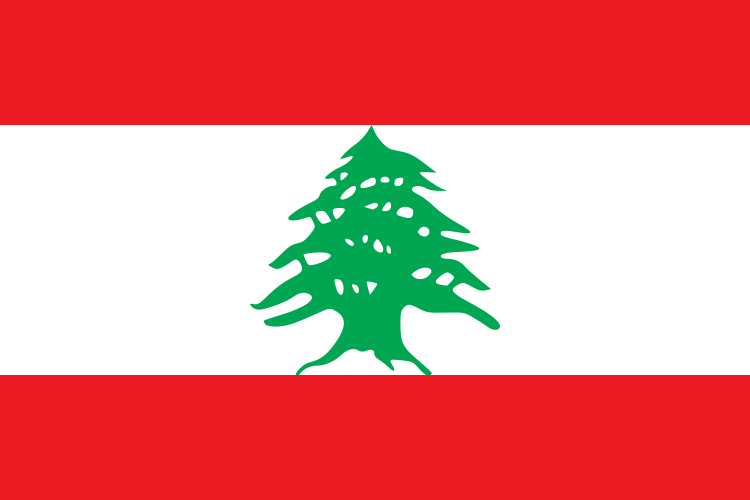 The flag of Lebanon shows one of the famous cedars of Lebanon which are referenced so poetically in the Bible. The colors and layout of the flag were specifically designed not to refer to any of Lebanon’s different religious groups. To quote Wikipedia, “The red stripes symbolize the pure blood shed in the aim of liberation. The white stripe symbolizes peace, and the white snow covering Lebanon’s mountains. The green cedar, (Species: Cedrus libani or Lebanon Cedar) symbolizes immortality and steadiness.” This flag was first flown in the dark year of 1943 as the world reeled in chaos and battle. Norfolk Island is a small verdant island in the Pacific Ocean located between Australia, New Zealand and New Caledonia. The flag of Norfolk Island was adopted in the long ago year of…1980. It shows a Norfolk Island Pine Tree on a white field between two bands of green (which represent the island’s rich vegetation). Norfolk Island is technically an outer territory of the Commonwealth of Australia but it enjoys a high degree of autonomy. Civilians cannot visit the British Indian Ocean Territory. The only inhabited island, Diego Garcia, is dominated by vast secretive Anglo-American military bases from which the two allies run their Indian Ocean and Central Asian naval and air missions. The flag is similar to other British commonwealth/colony/dependency flags in that it has the Union Flag in the upper hoist-side corner. 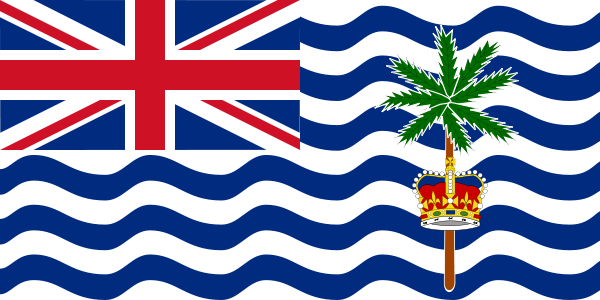 The crown represents the British monarchy and the palm tree is an obvious symbol of the island’s flora. The meaning of the blue wavy lines is unknown. Indeed it is unclear to what extent this flag is official or even in use. This flag has been in use since 1990.